After a death in St. Louis, family members and friends must take part in the probate process. Probate involves going to court, and it can be a confusing process at a tumultuous time. Understanding how probate works is important for families so they will know what to expect after a death. It is also important for heirs and executors to have an advocate advising them of their rights and looking out for their interests. What is involved in probate in St. Louis? What role do I need to play during the probate process? How can a St. Louis Probate Lawyer Help Me? The probate process happens after a death if the deceased didn’t make provisions for probate to be avoided. In the deceased person’s will, an executor should be appointed. The executor is the one who oversees the probate process, including filing the appropriate court paperwork and paying fees for probate out of the estate assets. If there is no executor named, if there is no will, or if the person named as executor doesn’t want the job, the court will appoint someone. Once the court paperwork has been filed, the executor has to continue managing estate assets. Creditors are notified of the death and the right to make claims on the estate. If necessary, appraisals are arranged to obtain the value of assets in the estate so the appropriate amount of taxes can be determined. An opportunity to contest the will is provided in case there are concerns about whether or not the will is valid. Finally, at the end of the process – which can take weeks, months or even years- the affairs of the estate are wound up and the deceased’s assets are transferred to the new owners. If there is no will and beneficiaries are not named, intestate rules will determine who inherits and will ensure that close family members receive the property of the deceased. What Role Do You Play During Probate? The executor has the most important role during the probate process. An executor has a responsibility to carry out the requests of the deceased, to effectively manage property, and to act in the best interests of heirs. Executors are said to have a fiduciary responsibility, which is the highest duty that is imposed under the law. A fiduciary duty is the same duty of care that attorneys have for their clients. A probate lawyer can provide assistance to executors in making sure that they are fulfilling their obligations so they can live up to their responsibilities and so they won’t find themselves subject to lawsuits. Family members and heirs of the deceased don’t always have a lot of responsibilities during the probate process. However, heirs may want to carefully observe what the executor is doing to ensure that the executor is managing the estate assets correctly and moving the estate effectively through probate. If beneficiaries believe assets are being mismanaged or the executor is otherwise failing in his or her obligations, legal action can be taken with the help of a probate lawyer. Those who believe that there is a problem with the will may also take on the responsibility of contesting the will during the probate process. If you contest the will, you’ll have to prove why there are problems with it that should render it invalid. Examples could include undue influence on the deceased, for example, or an argument the deceased wasn’t of sound mind when he made the will. Taking on the responsibility to contest a will is important if you believe the true wishes of the deceased person are not being respected. How Can a St. Louis Probate Lawyer Help? You need to ensure you do everything you can to protect the wishes of the deceased and to fulfill your role during the probate process. This means having a knowledgeable legal advocate who can advise you and advocate for you. 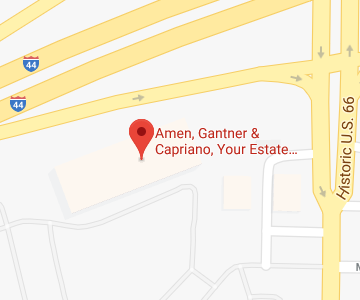 Contact Amen, Gantner & Capriano – Your Estate Matters, L.L.C. to learn about the assistance our St. Louis probate attorneys can offer. You can give us a call at 314-966-8077 or contact us online to get help today.